Trinity College, University of Oxford wrote to Art Detective requesting further information on their work thought to be of Henry Ireton. They realised there was doubt around the sitter of the work but little did they know that through this discussion the attribution of Samuel Cooper would also be disputed. Richard Stephens was the first to comment, noting that Cooper did paint a miniature of Ireton which is known because of a nineteenth-century copy at the Fitzwilliam. Richard was also the first to point out that the artist was definitely not Samuel Cooper and the sitter is probably not Ireton. Martin Hopkinson agreed with Richard on both accounts and wrote that the red sash was often used by King Charles I’s Royalist troopers, Martin also noted that there was a work of Ireton attributed to Dobson sold in London on 7th April 1886. 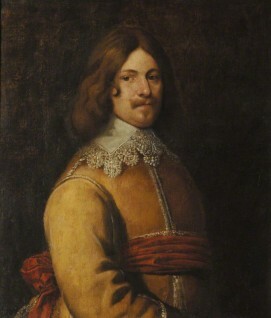 Group Leader, Bendor Grosvenor, noted the sitter is probably of the 1640s. Tim Williams picked up on Martin’s comment regarding Dobson and noted that the attribution of Dobson should not be ruled out. However Bruce Trewin made the point that Dobson’s depictions of royalist officers usually show more glitter and silk. Dobson scholar Ros Jones then commented on the discussion agreeing that there is ‘something Dobson-like in the face’, but he was not entirely convinced. The conversation continued regarding a possibly Dobson attribution but was rounded up by Bendor with a conclusion that it was not by Dobson or Cooper, and was not of Ireton.